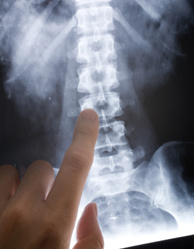 There are some preliminary steps which you must take immediately after an injury accident. If you delay in retaining an attorney, you risk losing leads and evidence and weakening your claim. Your attorney must invest a tremendous amount of time and money to fully develop an injury claim so that you receive all of the compensation you are entitled to under the law. 2. Future loss of earnings. 3. Impairment of the injured person’s ability to earn money in the future. 4. Reasonable and necessary medical and hospital expenses. 1. Present and future physical pain and suffering. 2. Present and future mental pain and suffering. 5. Impairment of the quality of life. 1. Compensation for physical disfigurement. 2. Compensation for physical impairment present and future. 1. Economic damages for loss of household services the injured spouse would have performed. 2. Any resulting expenses which the injured spouse has had or will incur in the future. (a) Loss of affection, society and companionship. (b) Loss of the aid and comfort of the injured spouse. You are entitled to recover the difference between the market value of any damaged property immediately before the accident versus its market value immediately after the accident, which would include your car and its contents and any personal items you are wearing. If you need to speak with a Denver, Colorado personal injury attorney, call me at 720-270-2500. There is no charge for a phone or office consultation.